on the 3rd February, the Rooster enters their own year and will be keen to start things off right. This is looking to be a very rewarding month for the Rooster and they should find that a lot of what they attempt goes very smoothly. 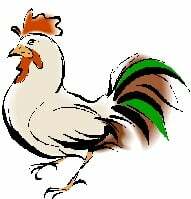 There is one area that could cause problems for the Rooster this month as they may come across tense moments with others which could cause problems if they act hastily. Have a fantastic month.